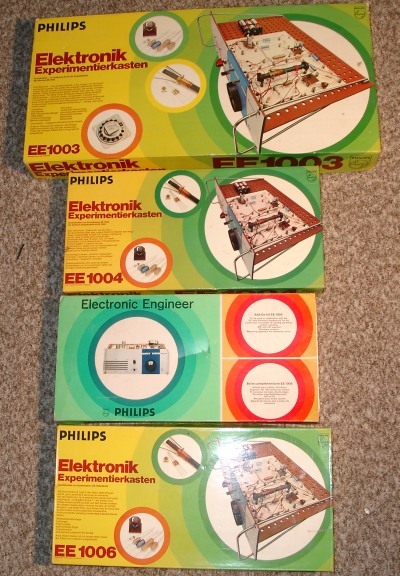 The EE1000 serie is published in many variants. 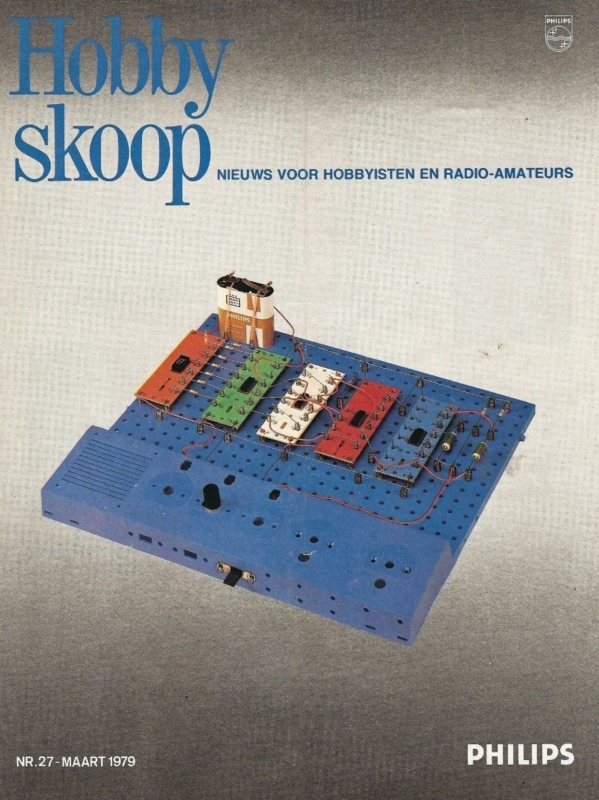 The number of projects has grown considerably compared to the EE8/EE20 series. 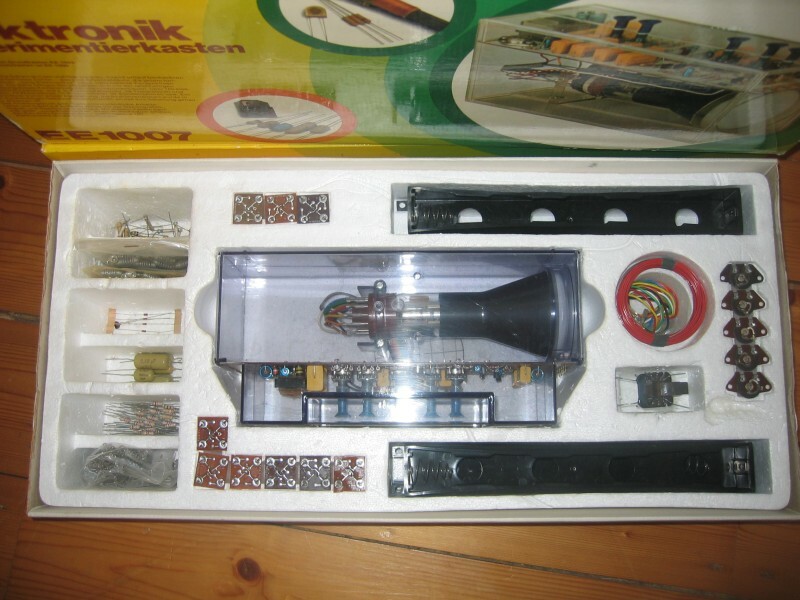 And the germanium transistors are replaced with modern silicium types. No sign of IC’s yet!. 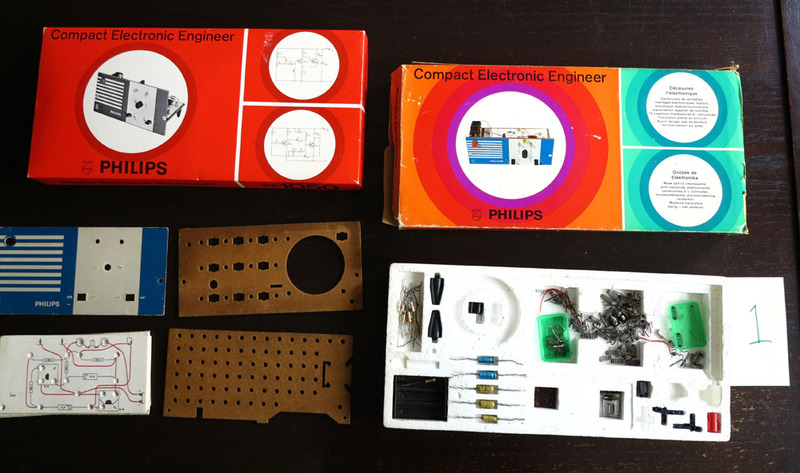 As you can see the flat experimenters board was enhanced with a real front which gives the projects a more professional look. 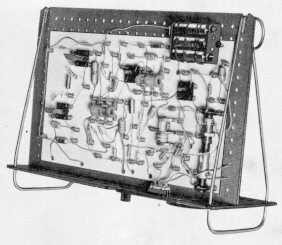 The EE1003 has a large experimenters board, the EE1050 a small one. 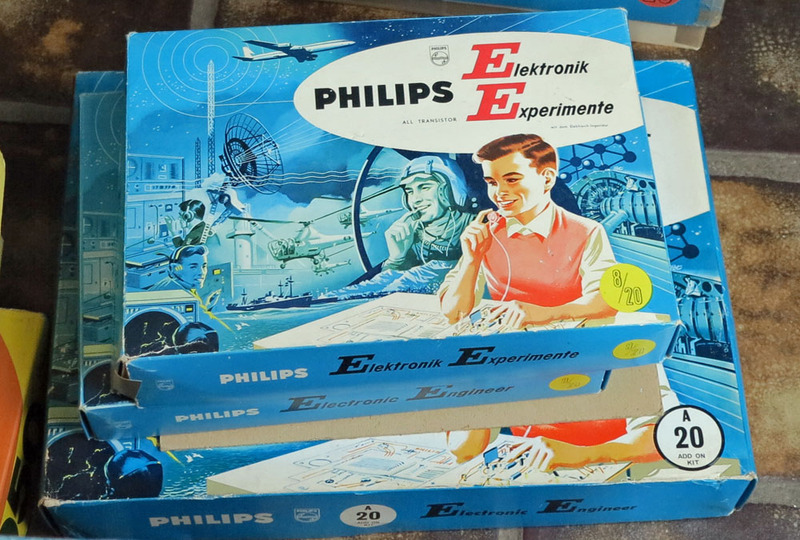 Some radio projects are quite sophisticated, and come back in the EE2000 series. 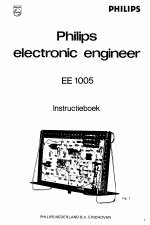 Compared to the Pionier and EE8/20 manuals the information in the EE100x manuals is quite compact and not very educational. 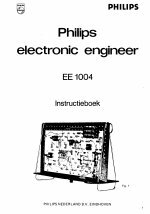 The EE1050/51/52 manual is on the contrary very good. 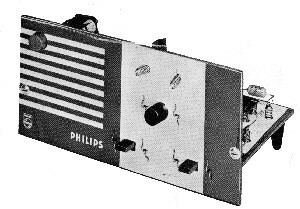 Many experiments are about radio receivers for different wavelengths. 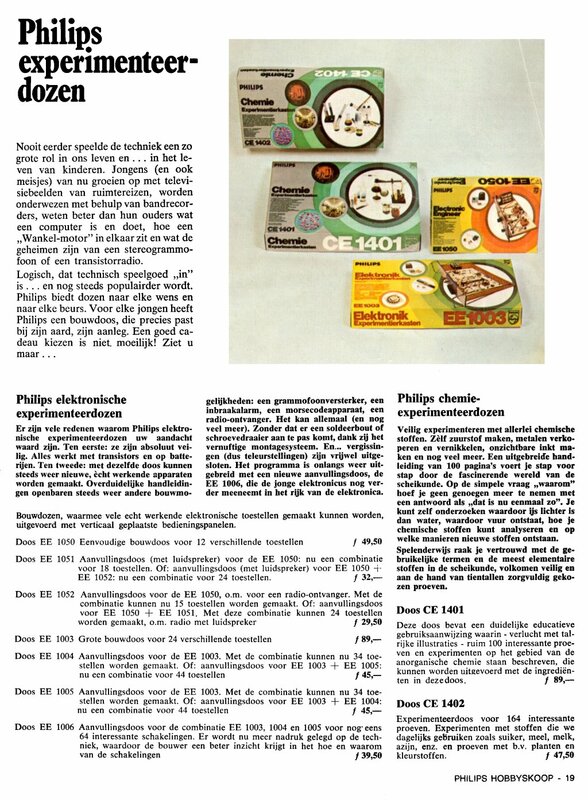 Advertisement from the Philips magazine Hobbyscoop 1972 on the Philips EE1000 series and the CE boxes. 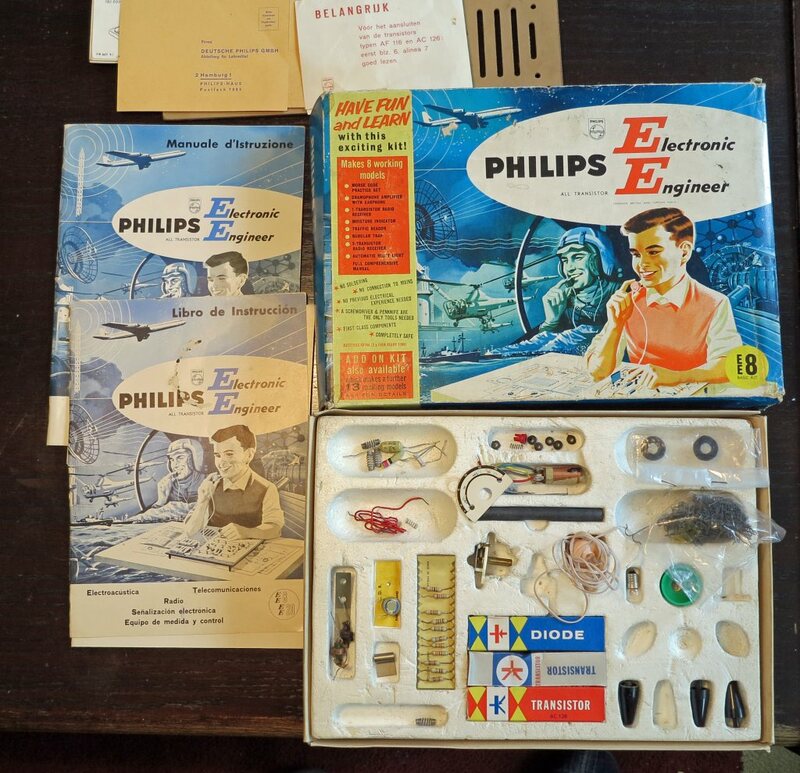 Note the prices! 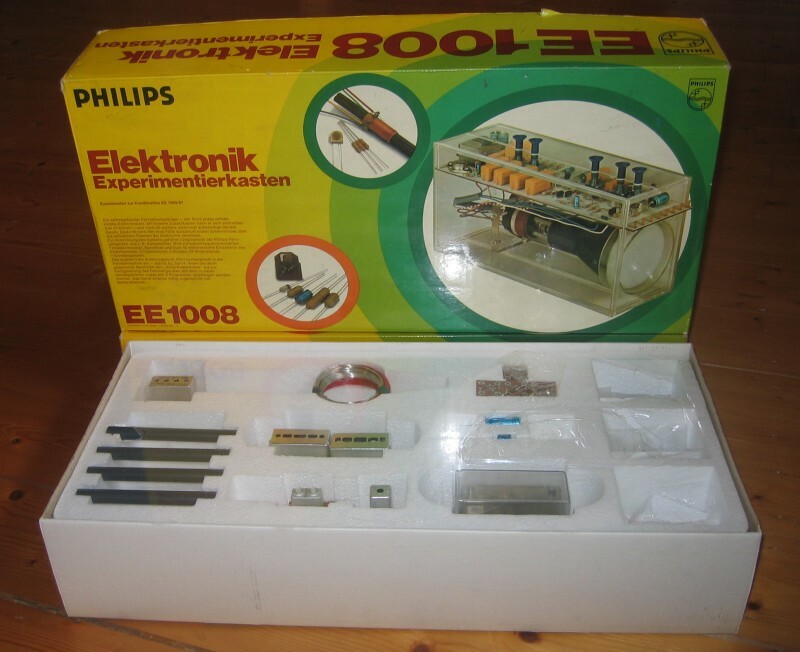 ME1201 and EE1003 makes it possible, as with the ME1200 and the EE20, to combine electronics with mechanical models. 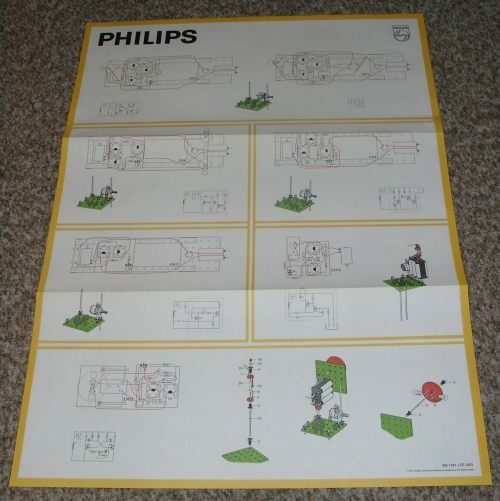 This is documented in the ME1201 diagrams. 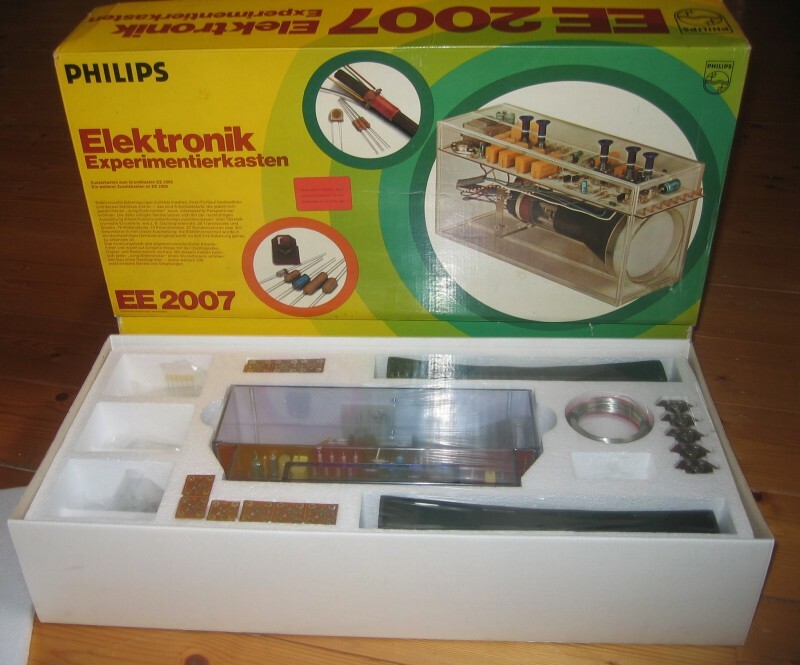 EE1007 oscilloscope tube, very beautiful!